Specialized glass can define a style or complement interior decor. 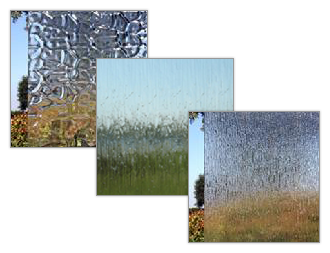 ARC Glass LLC features many types of patterned glass to help you fulfill your decorating dreams. A textured shower enclosure can add class to your master or guest bath. If you're looking to change out the plain glass in your kitchen cabinets to something more exciting, we can do that, too. When we meet with you during your free in-home consultation, our technicians will bring samples and photos to help you decide on your home's special look. We serve clients in the Houston area. There are many colors and textures available to complete your job. Follow the vendor links to see examples, but remember the glass may look different in person, so nothing is as good as seeing samples in your own home. Feel free to stop by our showroom for ideas.